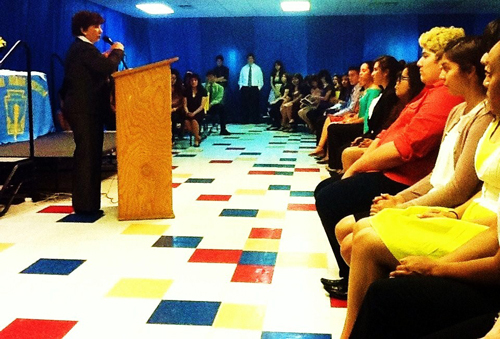 Adela Garza, Republican candidate for Texas CD-34, presented the address last week to the Idea College Preparatory's National Honor Society Induction Ceremony in Donna, Texas. IDEA College Prep Donna is rewriting the story of underprivileged communities by creating a positive learning environment that equips students with the academic, social and leadership skills that are required to succeed in college and in our global society. 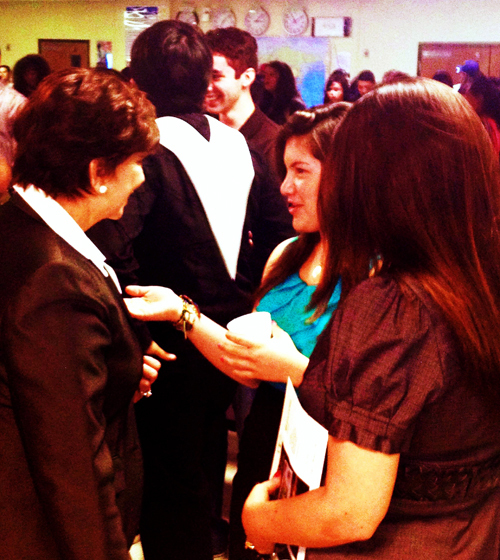 Below are Adela Garza's remarks about the ceremony and pictures from the event. 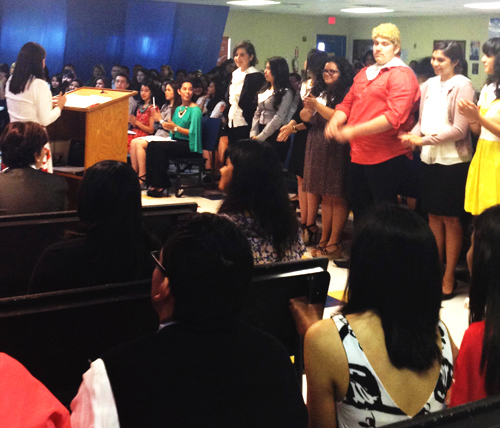 Last week, I had the pleasure of delivering the address at the annual Induction ceremony for the National Honor Society at Idea College Preparatory in Donna, Texas. I spoke to our leaders of tomorrow about how to best meet the needs of their professional and career goals. To accomplish their objectives, students must think about what a university or college can provide them to ensure maximum opportunities after graduation. We need people to venture into different pathways if we want to live in a productive and dynamic society. There are many teachers in the community who quietly go about their work and do not seek recognition for their efforts. Two examples of this are National Honor Society Adviser Melinda Hernandez Zarate and Principal Christina Cavazos-Escamilla. The future of our society rests in the hands of these educators who are constantly looking for ways to enrich their students’ lives and make the most out of the resources they are given. Their dedication of time and effort that goes into helping our students helps change lives in our community in a dramatic way. These exemplary educators were joined by proud family members, friends and IDEA alumni.